This is the preliminary version of ‘Good Morning, Hello!’ It did better than his big brother! The painting was completed May 4, 1988. 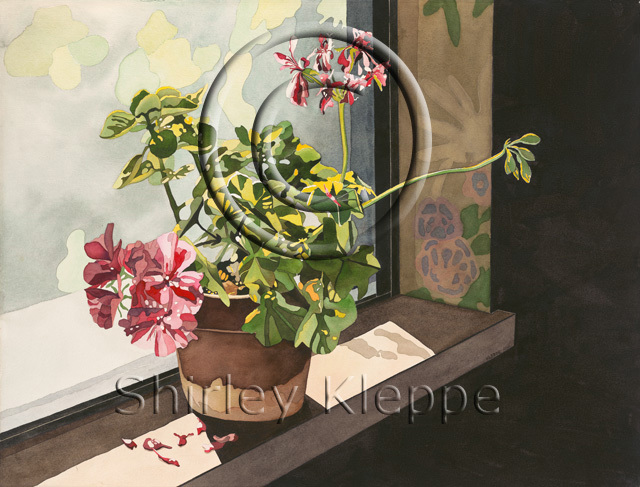 The painting’s first show was “The Kentucky Watercolor Society’s 11th Annual National Exhibition,” The Kentucky Museum, Western Kentucky University, Bowling Green, Kentucky, October 9-December 11, 1988, by Morris Shubin. The next show is was exhibited in was “The Vista’s ’89” at the Church of the Beatitudes, Phoenix, Arizona, February 2-12, 1989, by Suzanne Brown, Jim Farnsworth, and Charles Lovell. 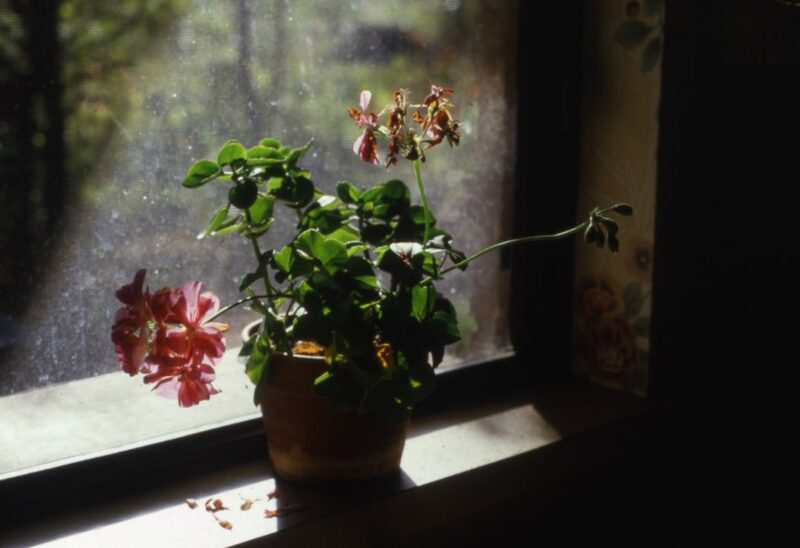 It went on to be exhibited by “The Arizona Artists’ Guild Spring Show,” The Gold Nugget Gallery, Wickenburg, Arizona, April 13-23, 1989 by Stephen Delair and Ellen Meissinger. This painting is on a ‘half sheet’ at 14.102″ h x 21.502″w. It was painted on d’Arches 140 lb cold pressed paper deckle edge with Winsor & Newton tube pigments, and Winsor & Newton Kolinsky Sable brushes. The paper, was water-soaked for a few minutes, drained, and squarely placed on a 1/4″ piece of Masonite board. Extra water was dabbed up with paper towels, and brown glue-tape placed 3/8″ overlap on the paper on all four sides. The board with the taped paper is allowed to air dry in a horizontal position out of the sun. When the paper is dry, usually after one day, the paper is drumhead tight, and ready for painting. My friend, Linda Carpenter, bought the painting. She was gracious to let me archive and see the painting once again.